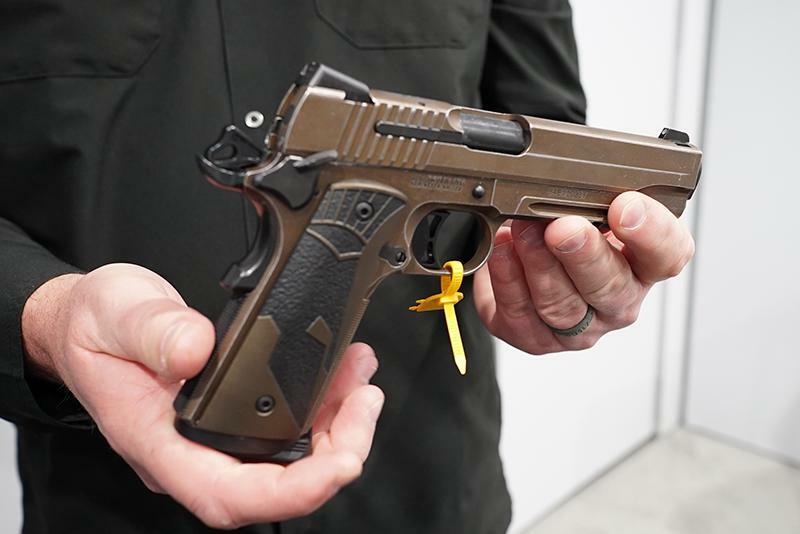 SIG Sauer 1911 Spartan II: History’s most renowned pistol platform honors its most revered warriors. Stainless Steel Slide and Frame with Custom ORB Finish: The stainless steel slide and frame are coated in Oil Rubbed Bronze for a distinctive look. Custom Spartan Grips with Bronze Inlay: The custom grips are inlaid with a Spartan helmet.